This summer my friend, also called Tracy, came to visit me from the UK. 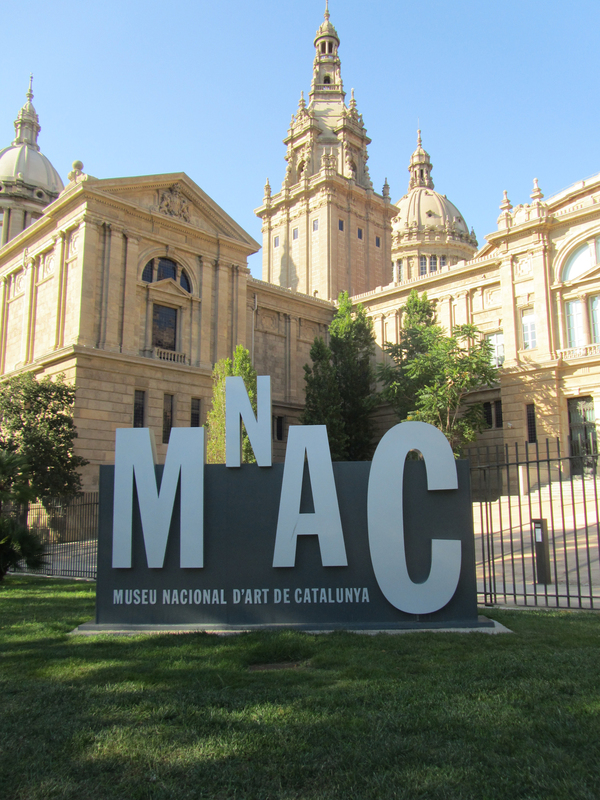 We had a fantastic week, with lots of laughs and also a few frustrations, Tracy is a permanent wheelchair user, so getting around, at times, was interesting.However, on our visit to the MNAC we encountered no such difficulties. 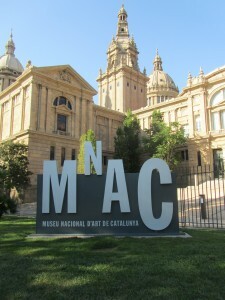 The MNAC is situated on Monjuic and we arrived by car,parking in one of the disabled spaces outside the museum. On entering and exiting the museum we were treated like royalty by the security staff who personally escorted us on the stair lifts and even jumped the rather long queue to obtain our tickets, which are free for disabled people and their carers. The museum itself is then fully accessible and very interesting with both permanent and temporary collections. There is a snack bar and a restaurant which I can highly recommend for an amazing lunch if you feel like treating yourself! Oh, and on the way out you can relax at the bar on the terrace and take in the great views towards Plaza Espanya ! 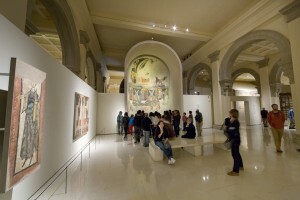 You can also arrive to the MNAC on the bus turistica, on TMB bus nos. 13, 50 and 55 or we can arrange accessible transport for you.